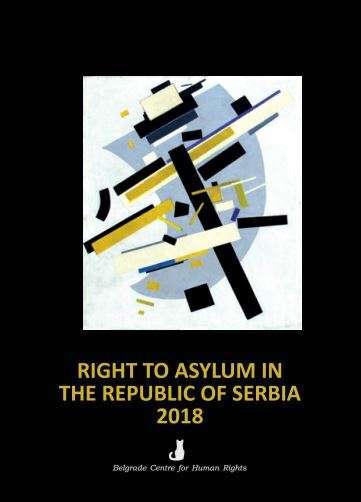 The Belgrade Centre for Human Rights has published the seventh annual report on the right to asylum, containing an overview and analysis of the protection of refugees in Serbia in 2018. The majority of those in need of international protection in 2018 originated from countries that generate refugees, including individuals with special needs, victims of sexual and gender-based violence, and unaccompanied or separated children. The policies made in neighbouring countries and at the European level heavily influenced the position of individuals in need of international protection. The past year was marked by adoption and the beginning of the implementation of the new Law on Asylum and Temporary Protection as well as the new Law on Foreigners. The Belgrade Centre for Human Rights, in cooperation with the UNHCR office, has continued to provide assistance to refugees and asylum seekers with regard to the realization of legally guaranteed rights to work, education, housing, etc. In the course of 2018, there has been a huge increase in asylum seekers originating from Iran due to the unilateral introduction of a visa-free regime for nationals of that country. The majority of government actions regarding refugees focused on humanitarian aid and accommodation, while structural solutions and clear migration policies were not implemented. The new Law on Foreigners introduced a new category of temporary residence on humanitarian grounds that should allow vulnerable individuals to legalize their stay in cases were they could not be granted asylum.